As a professional makeup artist, I’ve had clients ask me for bizarre bits of advice which have left me scratching my head. They have usually admitted that they saw a video on YouTube or a picture on instagram instructing them to use certain products in an unconventional way or convincing them that this is how the pros really do things. Having worked in cosmetics retail for a while, I found this maddening as people would request products that don’t actually exist or for purposes that at best would break them out and at worst could be downright dangerous. If a product isn’t tested for or designed to be on certain parts of your face, you are risking your health because of something a random stranger on youtube told you. I ask you, is it really worth it? Most internet beauty “gurus” have no training in this field… part of our training is a health and safety aspect to ensure we don’t blind, burn or otherwise injure our clients. Keep it in mind. 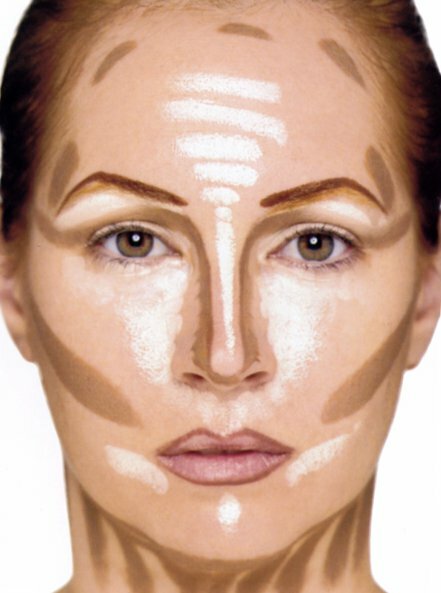 When I was working at a certain cosmetics counter, contouring became a popular beauty trend in a really big way. I had sixteen year old girls, business women, housewives and every kind of ordinary or not so ordinary customer come in to ask me about contouring. Well… sort of. Let me explain why this is annoying to someone who makes their living out of makeup. Concealer is just one of many mediums you can use for this technique. Many artists prefer not to use concealer as it is not designed to be blended into the base. Concealers are typically thicker and many are also comedogenic (meaning they block pores) as they’re only designed to sit on top of problem areas, not to blend in flawlessly with your foundation. You are literally breaking yourselves out or looking cake faced because you’re copying a random stranger’s beauty routine. What works for one person may not work for you. For this reason, many brands have cream or liquid highlighting and contouring products or kits. If not, do it the old fashioned way and use a foundation 1-3 shades lighter for highlighting and 1-3 shades darker for contouring. Your skin will thank you and you won’t look cakey. My favourite products for contouring and highlighting are powders as I find them easier to build up naturally and being the last thing going on your base, it will be most prominent. 2. Only bright, colourful eye makeup is “good” eye makeup. 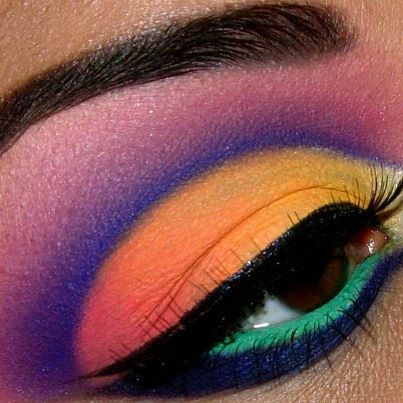 Amazing eye makeup like this is extremely eye-catching and definitely shows a mastery in this particular kind of eye makeup, but it’s not a measure on how talented you are within your own skill set. In my opinion, you’re “good” at doing your own makeup if you’re able to disguise areas you are unhappy with and accentuate areas you like; if you’re able to make yourself over in a style that suits your face shape, colouring and personal style. In my opinion, you’re “good” at doing other people’s makeup if you’re able to make somebody over in a way that suits their face shape, colouring, personal style and matches the occasion or criteria you have been given for their makeup. In short, if you’re a whiz with bright, colourful, bold eye makeup with bold, winged liner and dramatic false lashes, you’re good at doing eye makeup. If you can create a clean pin-up look, neutral smokey or minimalist eye makeup without any hassles, you’re good at doing eye makeup. No one style is worth more than another. A big trend right now is incredibly filled in brows. With bold liner and a more bombastic look, this looks amazing and finishes the look beautifully. However, if you’re a “chuck on some BB cream and a touch of mascara and gloss” type person, it looks unbalanced and focuses unnaturally on the brows, giving more of an “Oscar the Grouch” appearance than a smouldering neat look. A lot of girls also have a habit of using a pencil or shadow that is too dark for their brows which, again, looks fine with a full face of bold makeup, but very OTT for every day looks. Your pencils and powders should ALWAYS be suited for your hair colour (most brands have a blonde, light brown and dark brown) and when it doubt, go for the lighter between two shades. This image is a fantastic way to demonstrate the ability of one artist. Many people have an ingrained belief that only through creating more artistically driven or high fashion makeup are you “truly” a talented makeup artist or talented as a makeup user or consumer. These styles are used usually in advertising or for high fashion, editorial or runway looks. If you actually look at the runways or editorial shoots in magazines like Vogue, they’re intended to derive a feel for the collection or season rather than to be wearable to the everyday person in an every day situation. If you’re not brave enough to wear an outfit straight off the runway in all its crazy glory, you don’t need to wear makeup that is as over the top either. Nor does it indicate a level of skill. 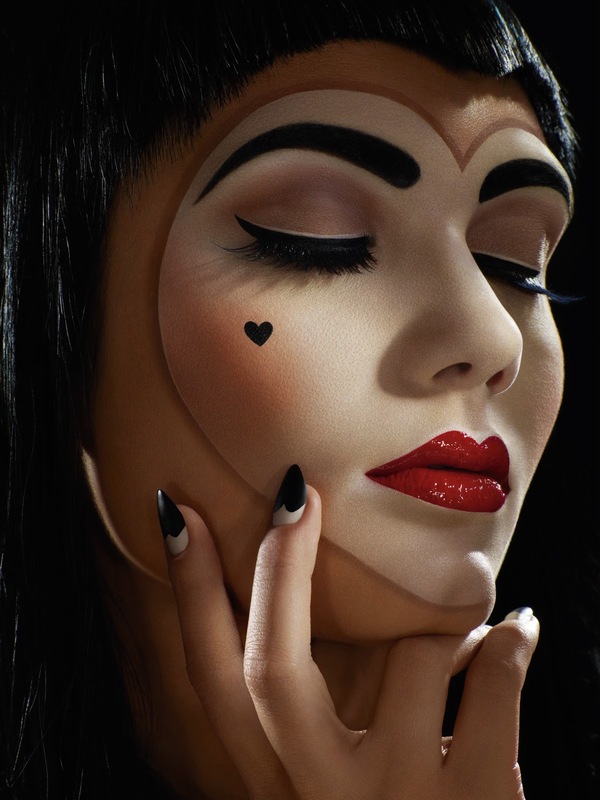 The look below was created by the same artist for the same company and, while it’s still more ornate than a true natural look, it still has the criteria of being “good” makeup, which is that it fills the criteria needed for the occasion, suits the wearer and is applied evenly and blended properly. The bottom line? if you’re good at intense fantasy looks, prosthetics or just drama filled looks that consist of your every day style, my hat goes off to you. If you’re good at soft romantic, neutral looks, you’re good at makeup too. If you’re good at pin-up style, dolly style makeup or any other style that makes you feel amazing and look like a million bucks, you’re good at makeup. No more type casting or excluding. This is arguably the most annoying trend of all. No two people have the same type of skin. If you feel more comfortable with a very full coverage because you have a lot of noticeable pigmentation, an oilier skin type, scarring, acne, etc then by all means. However, if you’re relatively young with clear skin and no real problems with oiliness, you have no real reason to actually wear full coverage foundation. If you have mature skin, it is ageing and if you have problem skin, it will accentuate the texture of any blemishes. Most people need a medium coverage or sheer to medium coverage with correct concealing. If you seal it with a light dusting of powder, it will last you all day and there’s no reason to wear more unless you want to. If this is how you feel most comfortable within your own skin, don’t let me correct you. That’s awesome. It’s more important to be happy and personal style is just that. However, if you are simply following the instructions of a friend or a youtuber or buying the products used by a babe on instagram or tumblr, keep in mind that they’re not you. Their skin isn’t the same. Go to a counter, get colour matched and try a finish, texture and coverage that make you look and feel amazing and like you could take on the world or seduce a rockstar with the wink of an eye. Remember with all of these myths, the main issue is that the makeup buying public are copying single people on mass and defining it as the only way to look or feel good. We are all different and need different things in our lives, whether it’s what we put on our mouths, in our minds or on our faces. Fulfilment is a personal journey that cannot be achieved by jumping on a band wagon. Now go out and be the best, happiest and most secure person you can be… because you’re an independent woman who don’t need no man.